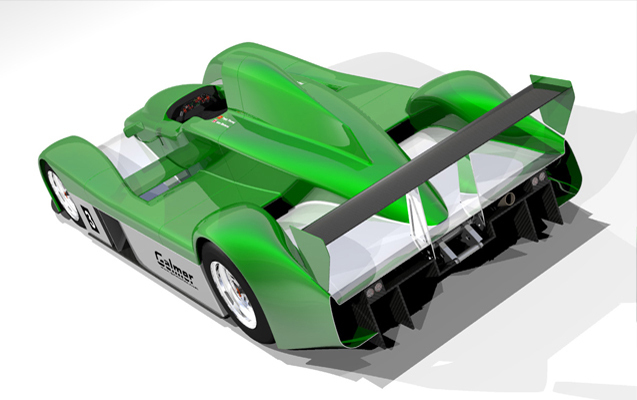 This car was designed by Alan Mertens of Galmer Inc., and will be built by Cobra International Company Limited in Chonburi, Thailand. 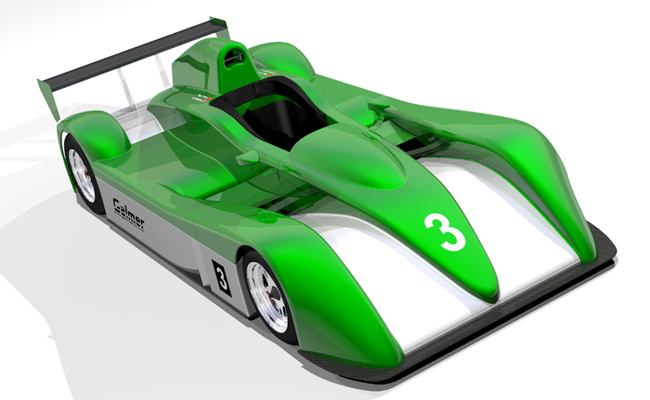 The car is expected to be ready by early 2007. 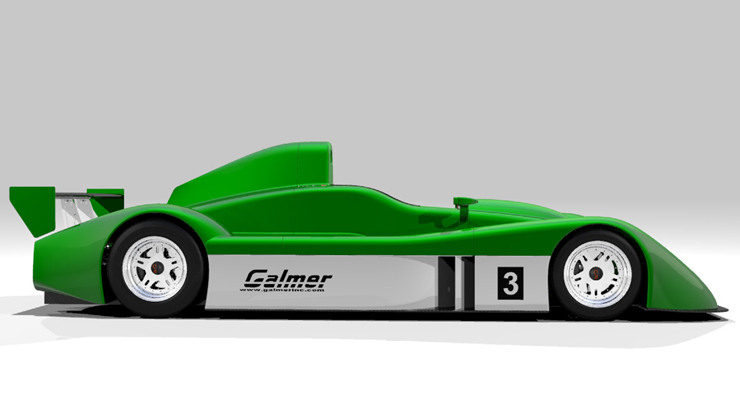 The Galmer D-Sports race car (DSR) is a full-bodied sports car on a space frame, single seat chassis to suit the SCCA DSR [class]. It has independent inboard suspension front and rear, actuated by pushrods with overhead mounted spring damper units. 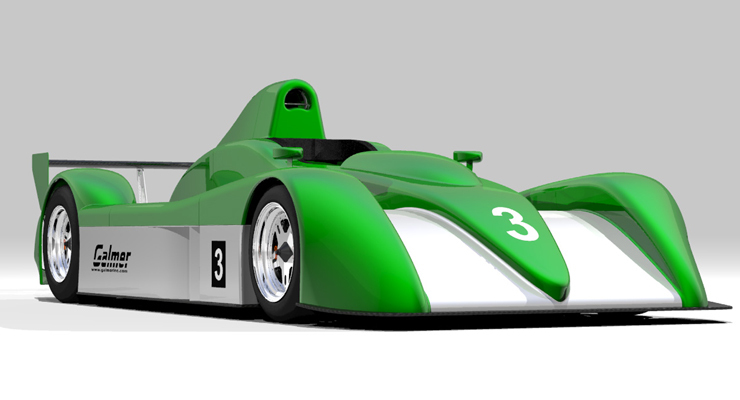 The chassis has been submitted to the SCCA and has been accredited full homologation approval. The chassis is constructed out of 4130 chromoly tube, which is TIG welded throughout. The engine is not a stressed member, and is installed and removed via a removable spaceframe directly beneath the engine bay. 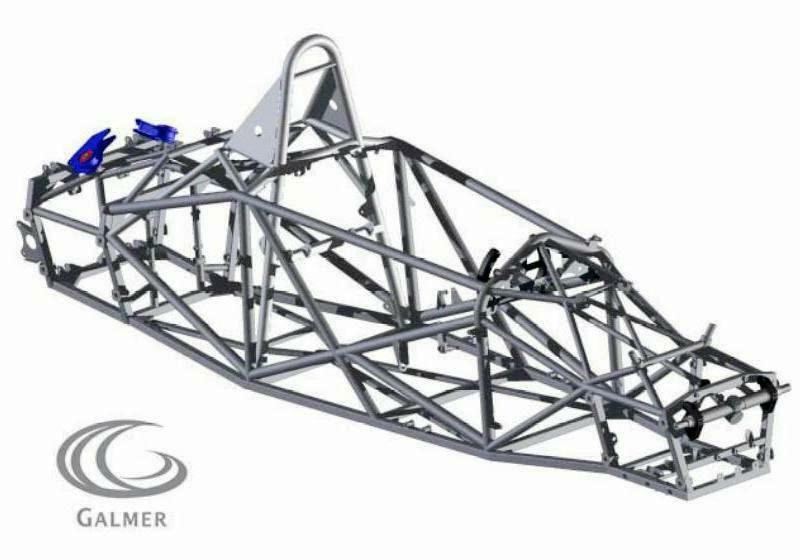 Considerable attention has been paid to this area of the chassis, as with the whole chassis, so as not to compromise torsional and beam stiffness and safety in and around the rear roll hoop area. 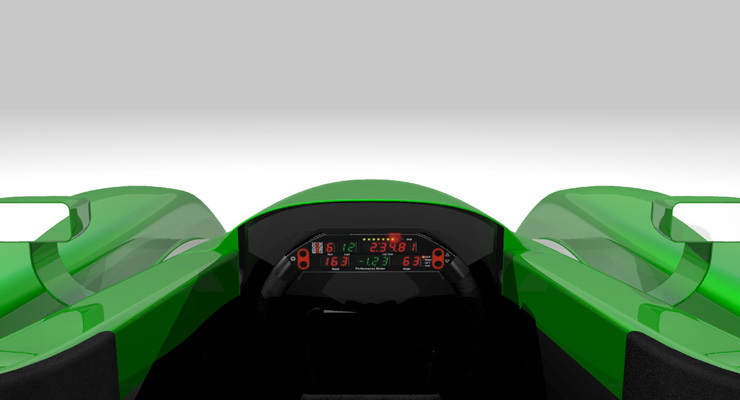 In the rear roll hoop area, additional protection is afforded to the driver via a cockpit mounted deformable headrest structure around the driver's head, similar to the systems used in F1, CART, and IRL. [The car] also has a quick release steering wheel mechanism for easy entry and exit of the cockpit. As much as possible, most of the cars suspension components are interchangeable. This includes: billet machined aluminum uprights, wheel bearings, wheel hubs, top wishbones, wishbone clevis', rod ends and spherical bearings, rockers, anti-rollbar blades, shock absorbers, brake rotors, and calipers. The car is optimized for the Yamaha engine package, generally the engine of choice. Alternate engine packages are available to special order. The pushrod front and rear suspension has a rocker arrangement, which gives a velocity ratio of 1:1. The front rocker has a slight rising rate characteristic for stability under heavy braking and entry into corners. The rear rocker is linear to optimize traction coming out of corners. The anti-rollbar control front and rear is via a T-bar system with an adjustable blade giving five positions of stiffness. Additional rates can be achieved with alternate rollbar diameters, or optional anti-rollbar droplink pick-up points in the rockers. There is a dual braking system with individual master cylinders for the front and rear, with a driver adjustable brake balance bar, 10 inch ventilated rotors and billet machined aluminum calipers. The unique Galmer/Kodiak manufactured wheels are recommended as original equipment and attached via a center locking wheel nut device with independent drive pegs on the wheel hubs. The differential assembly is via a Quaife unit with independent half shafts with CV joints at each end. The differential unit has independent mounting side plates, which allow for quick and easy chain removal and tensioning. 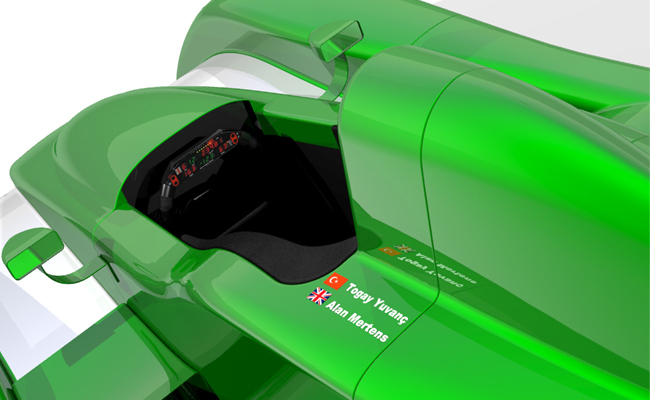 The fuel tank is centrally mounted underneath the driver's seat, isolated from the driver and the engine compartment by a firewall. The body has side mounted water and oil coolers ducted in through the side of the car that exit through the engine compartment and out of the rear. The engine air inlet duct is centrally located and situated above the driver's head. 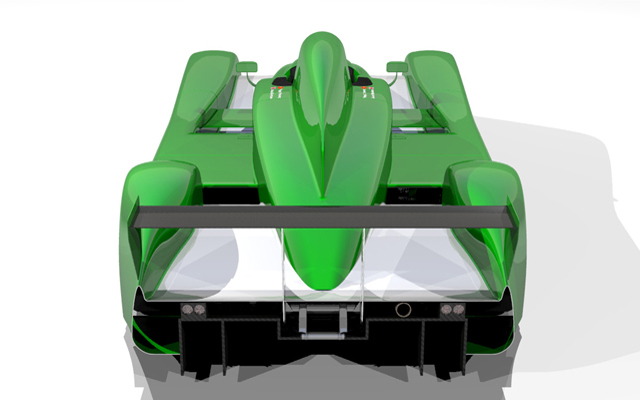 The car has front and rear diffusers for overall down force with an adjustable carbon mainplane rear wing. Alen Mertens says that the "mass properties from the CAD model show a weight saving of 140 lbs. 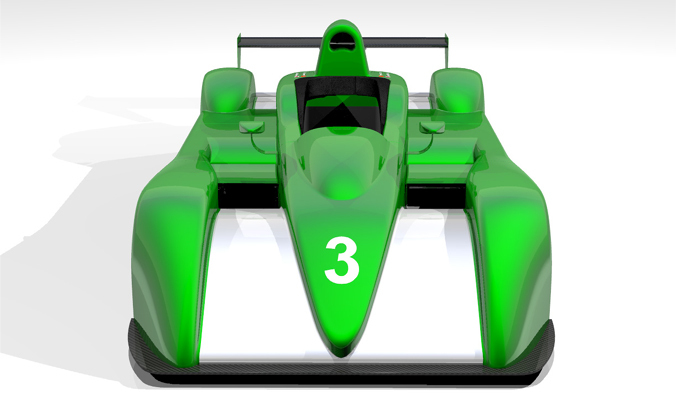 without considering the all carbon bodywork" when compared to the earlier Merloy chassis.